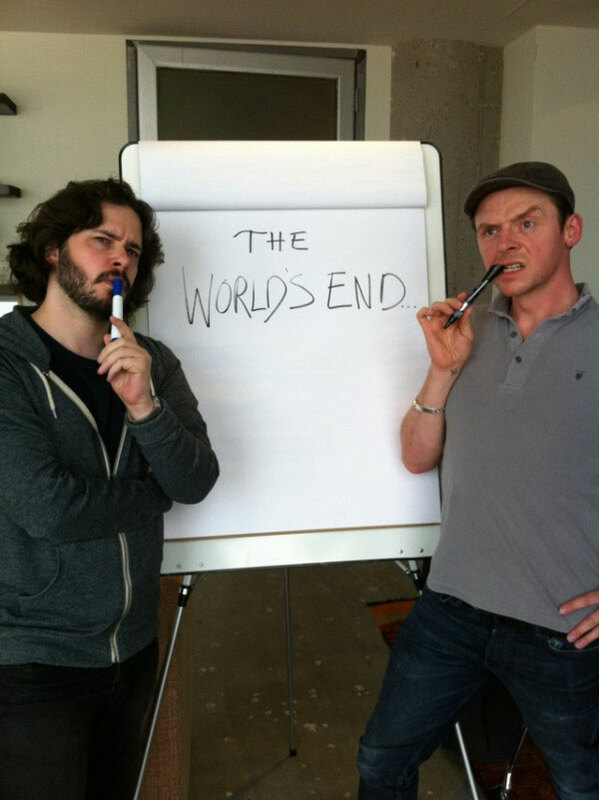 Can ‘The Worlds End’ Live Up To The Hype? Edgar Wright and Simon Pegg are used to dealing with high expectations of their work by now. Back in 2004, when their first feature film collaboration Shaun of the Dead was released, it was just three years after their seminal TV show Spaced, a show that blew the cobwebs off the tired sitcom format of twenty-something’s hanging around in swanky wine bars and getting into “adventures”, and all the time whilst being accompanied by a very loud laughing track. Spaced and The Office brought sitcoms kicking and screaming into the present and made the likes of Coupling and Friends look like relics of an age where everyone dressed like a C&A mannequin and talked like one too. Suffice to say, expectations were high for Shaun. Luckily, Wright and Pegg (with the help of a great comedy cast including Dylan Moran, Nick Frost, Lucy Davies (from The Office) wrote a fantastic script and made an incredibly funny film out of it. Considering that Dawn of the Dead, Land of the Dead and 28 Days Later all came out within an 18 month period surrounding Shaun, it’s Wright and Pegg’s film that is still imitated to this day. There aren’t many comedy-horrors – particularly in the UK – that don’t have “This year’s Shaun of the Dead!” displayed boldly on the cover. It’s more than just lazy journalism though. The film resonated with audiences and filmmakers alike. It feels disingenuous to say that Wright/Pegg have a “formula”, but there are of course similarities in style that run throughout Spaced, Shaun of the Dead and the film that followed, Hot Fuzz. Unlike Shaun, which was a zombie film that lives and breathes the world of that genre, Hot Fuzz is much more self-aware and has elements of parodying its genre, in its case the action movie. However, they certainly repeated the trick of creating a film that was hilarious and extremely popular, and all the talk afterwards was: What’s next? Shaun and Hot Fuzz were released within three years of each other, and since then, the partnership has headed off in different directions. Edgar Wright has co-written Spielberg’s first Tintin adventure and directed the very awesome but underperforming comic book adaptation of Scott Pilgrim versus The World. Simon Pegg has been fortunate enough to be a part of two enormous film franchises – Mission Impossible and Star Trek, and has starred in various films in the UK and Hollywood. 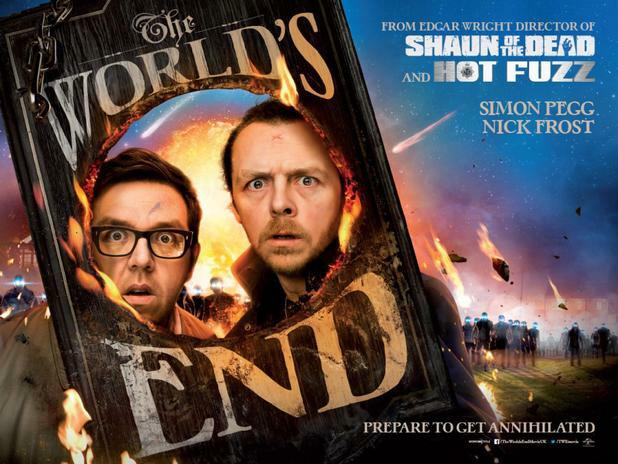 After six years, and with a lot of hype surrounding it, The Worlds End finally arrives in cinemas on the 19th July 2013. 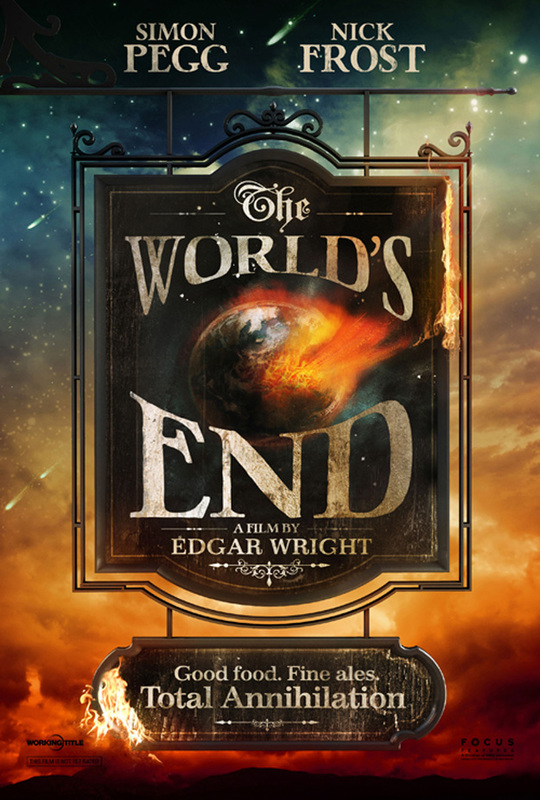 The question that exists now, is: Can The Worlds End possibly live up to the hype? Not just financially (Shaun and Hot Fuzz were both very successful at the box office both in the UK and worldwide) but critically and within their solid fan base. Even in the DVD extras of Shaun of the Dead, where Wright and Pegg are detailing their flipchart version of the film where they had mapped out the film before even writing the script, they had drawn a cinema with a seated audience, and one of the speech bubbles for an audience member said: “Not as good as Spaced!” Although it’s a joke, it clearly shows that these guys are fully aware of the weight of expectation that meets their films. The third film in what is loosely being called The Three Flavours Cornetto Trilogy (in reference to the fact that Cornetto ice creams feature in each of the films, and a comic nod to Krzysztof Kieslowski’s Three Colours trilogy) has arguably more expectations than any of their films before. They’ve proven themselves to be great comic storytellers, but when do the jokes run out of steam? Especially when you have Simon Pegg and Nick Frost pairing up for a third time. There aren’t many examples of third films that are better than what came before. There is a difference with these three films though. They are not a trilogy per se, and Wright and Pegg have clearly been working on the script and the film itself for a very long time. There is clearly a lot of talent on screen and a great team surrounding them – particularly Nira Park, their producer – who know exactly how to get the best out of the material they create. If this film is going to be the final film in the “trilogy”, they will be looking to go out with a bang, not a whimper. The film is likely to live up to the hype, and then the fans will be waiting for the fourth collaboration. You can never run out of Cornetto flavours, after all. https://electrokami.com/wp-content/uploads/2013/06/movies-the-worlds-end-poster.jpg 464 618 Electro Kami Staff https://electrokami.com/wp-content/uploads/2018/01/electrokami.png Electro Kami Staff2013-06-21 22:51:452018-08-26 21:15:15Can 'The Worlds End' Live Up To The Hype? 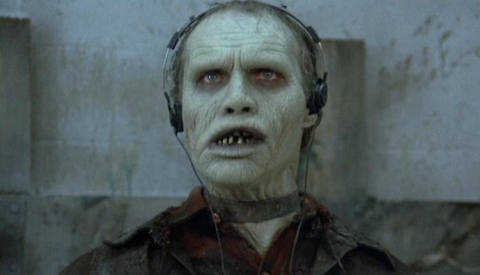 Zombies: Have They Still Got Legs? What? Twelve dollars and we don't even get a spoiler? Beyond Black Mesa: The Live Action Fan Film and Excellent Tribute to Half-Life. And Zombies! Fifth Element: The best movie ever!